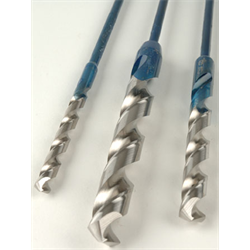 Manufactured in the USA by Freeform, these drill bits are the choice of professional installers for retrofit installation applications. The bits are made from high speed steel for superior functionality. 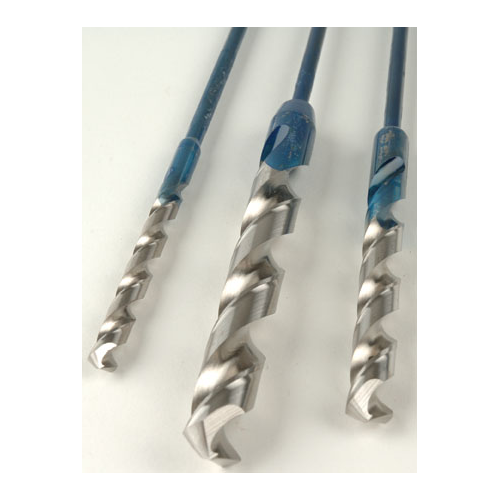 They are designed to drill through steel plates as well as wood. These drill bits have a 118 degree point instead of the more traditional 135 degree point. This provides a more gradual breakthrough and lessens the grabbing that occurs when using a traditional point. They have a split point tip and a slow spiral design to improve bit self-cleaning and to ease pull back. The drill bit head and chuck end have holes for attaching wire. The bits have a 3/16” flexible shaft to allow you to easily align the bit along a stud for reference drilling. 3/8” x 58” Premium Freeform Bit.